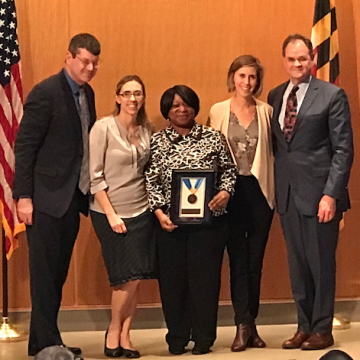 The Rales Health Center team is the 2018 recipient of the Innovations in Clinical Care Award at The Johns Hopkins Hospital. 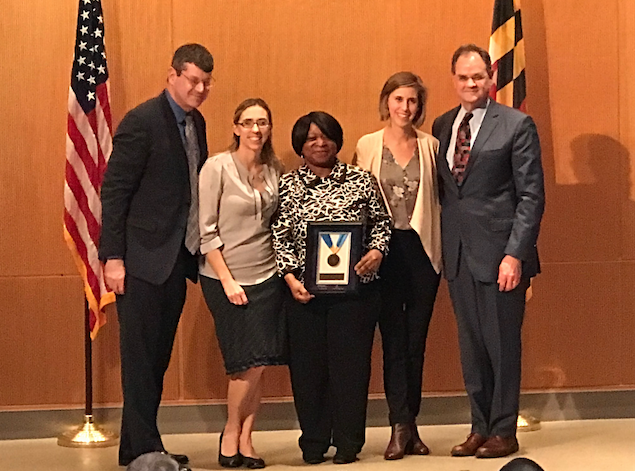 The award recognizes the Rales Health Center innovations in clinical care and consistent dedication to providing excellent patient care. Watch Dr. Katherine Connor explain what this award means to the Rales Health Center team HERE. NP Tresa Schumann, CMA Teresa Bailey and Nurse Katherine Bissett receiving the award.